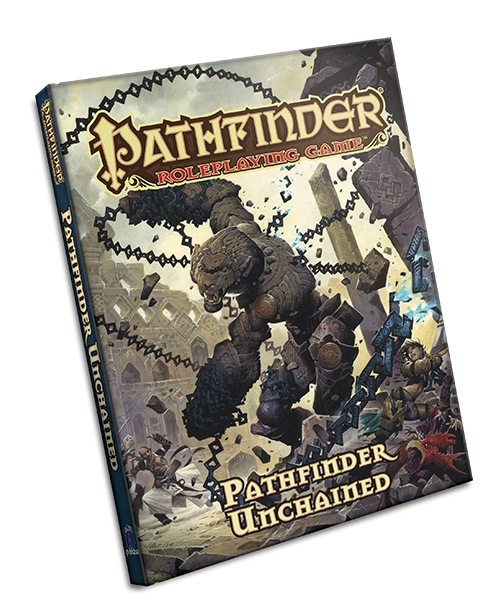 Paizo has released Pathfinder Unchained. I don’t own the book, but from what I gather it contains a lot of house-rule-ish options for the game. Looking very much forward to see if there is stuff here which might speed up fights and reduce the time spent on rules and book-keeping! Esteemed game designer Monte Cook is creating a new RPG for kids, called No thank you, Evil. A Kickstarter is launching May 13th. I’ve had success running RPG Kids, and I’m very curious about how to improve on this. The Cypher system (the rules engine behind both Numenera and The Strange RPGs) is about to be released in its own book. This sounds like an excellent idea, because for some reason neither the Numenera nor The Strange settings really fired me up. The Cypher system itself, on the other hand, seems to me like a neat and clean set of core rules suited for most any RPG setting. So, cutting the system loose from campaign fluff will definitely make it easier to stir up your own campaign based on Cypher!